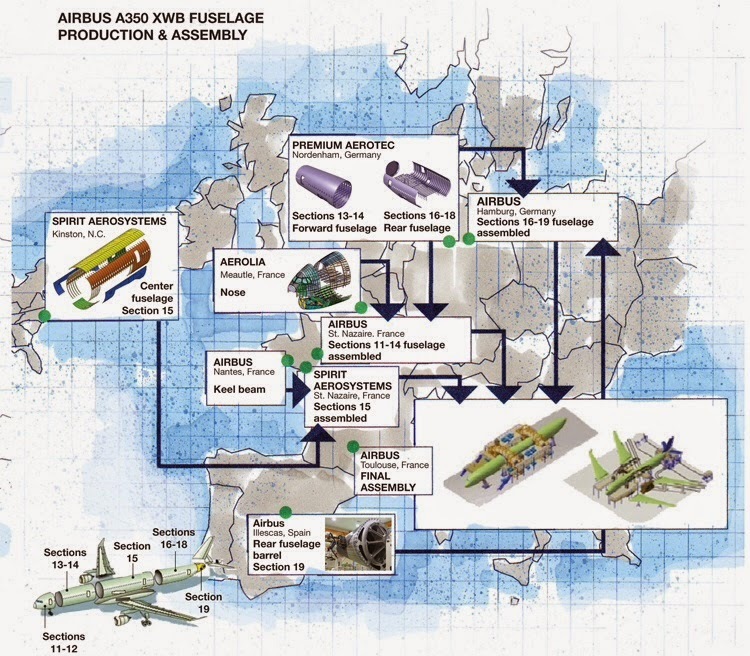 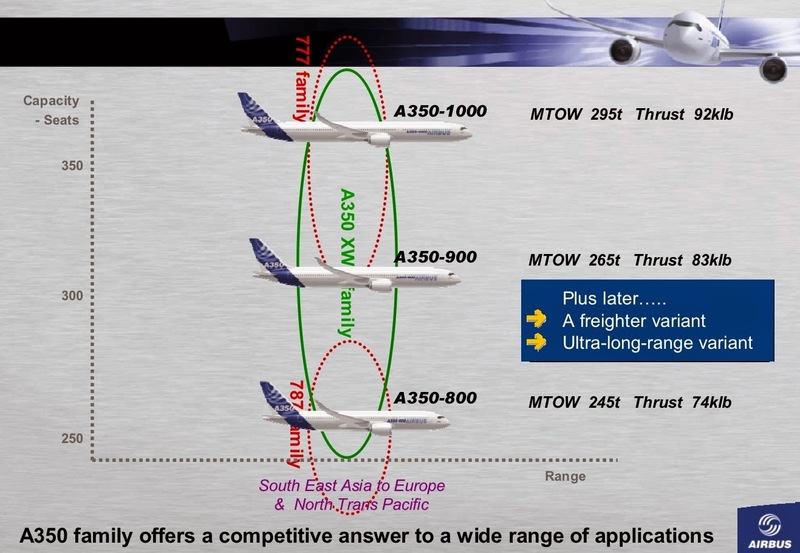 Currently that the discussion regarding the future of the A350-800 is on the table, here it is an old presentation from Airbus where the A350 family is positioned. 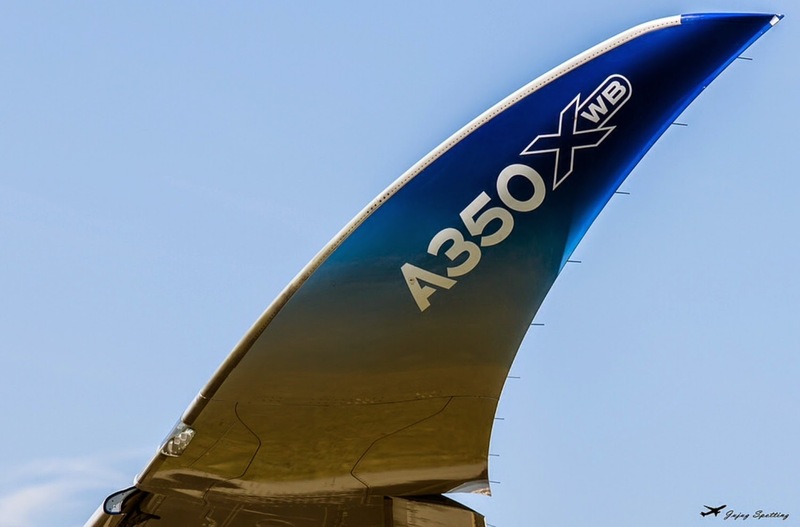 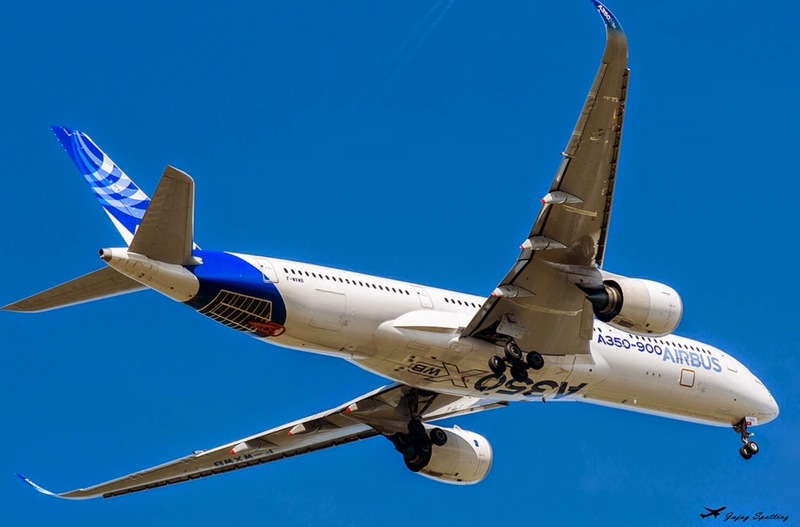 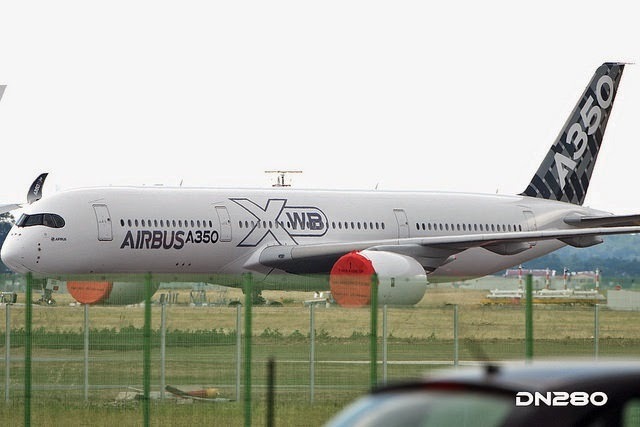 Dated on 2007, a freighter variant and an Ultra-long-range variant were mentioned as future developments of the A350 family. 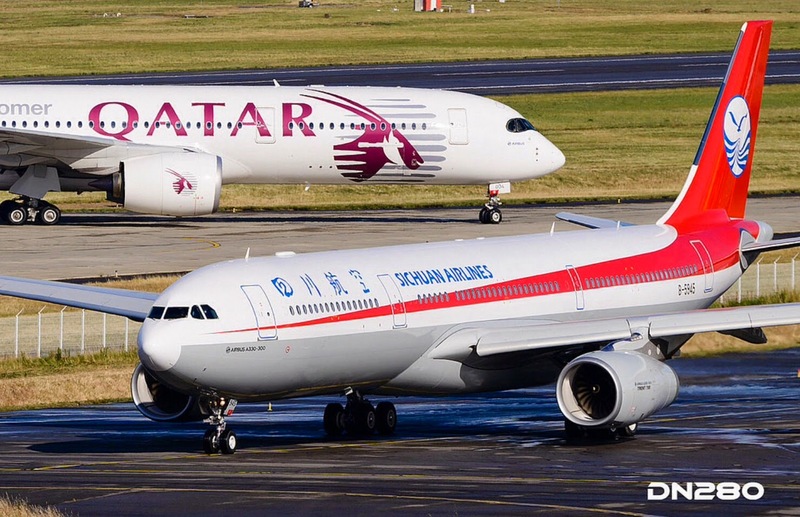 Since then, these 2 variants have not been mentioned again. 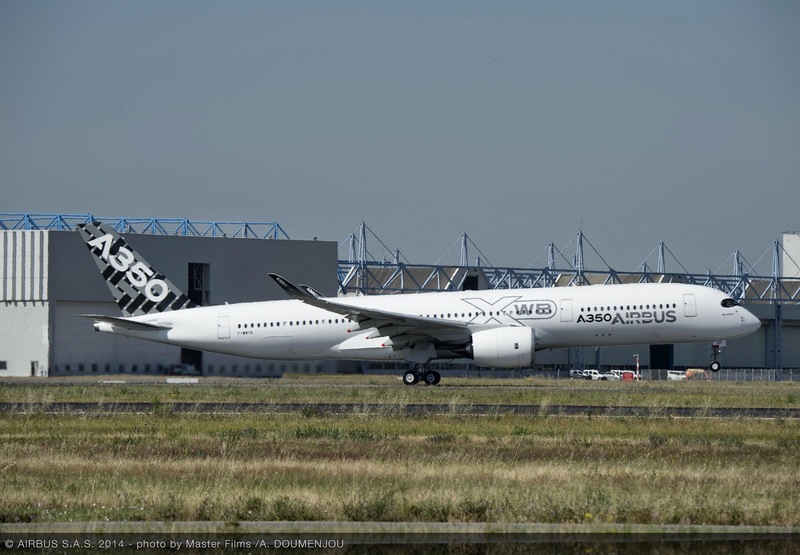 Emirates has not said much about why it cancelled its order for 70 Airbus A350s, but a senior executive from the Dubai-based airline speaking to analysts and reporters last week in New York shortly after the cancellation was announced offered some insight. 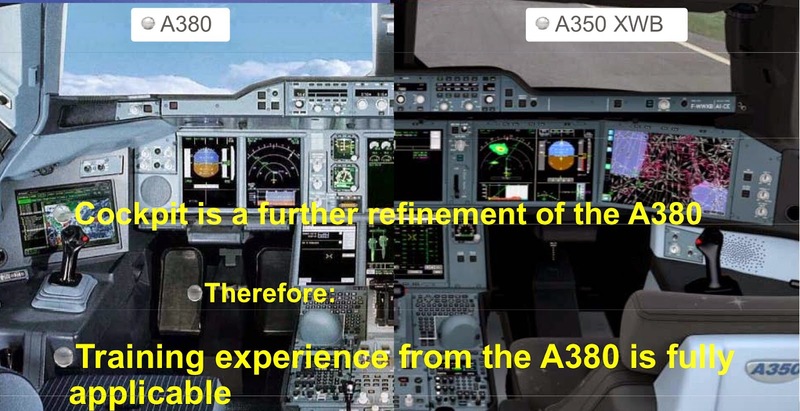 But Hopkins did say Emirates increasingly sees the “flexible” A380 facilitating future growth because the aircraft’s large capacity allows it to operate to slot-constrained major airports –as Heathrow- and generate around the same revenue with 1 flight as 2 flights using a smaller A350. 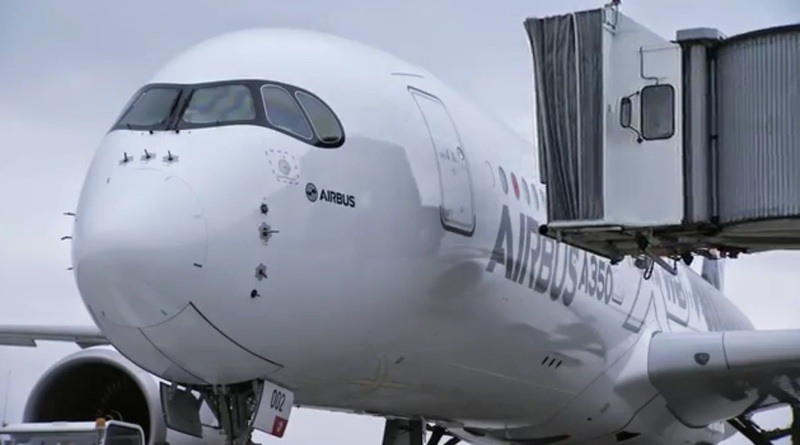 “Emirates has just 5 slots at Heathrow, but we’ve grown revenue using the A380 on London flights and we couldn’t do that with other aircraft” Hopkins explained. 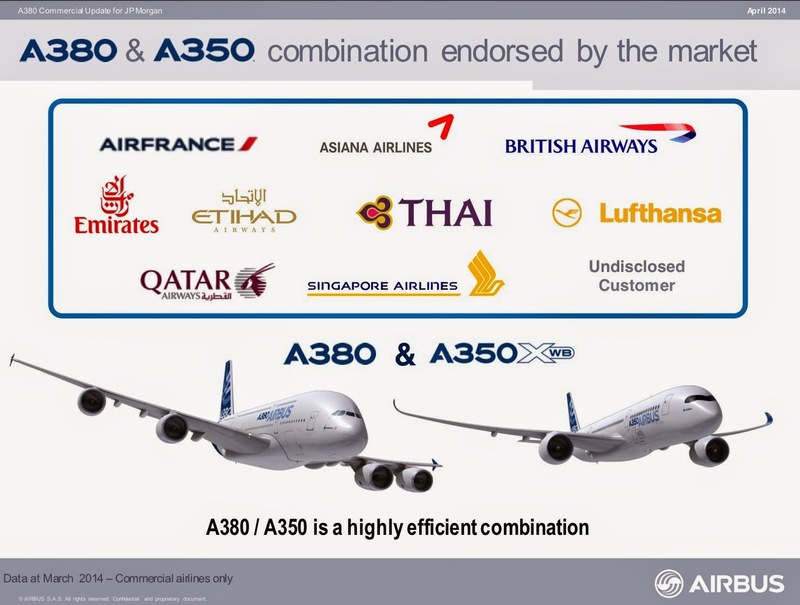 Unlike the rest of the airline industry, Emirates simply prefers the larger A380 to the A350. 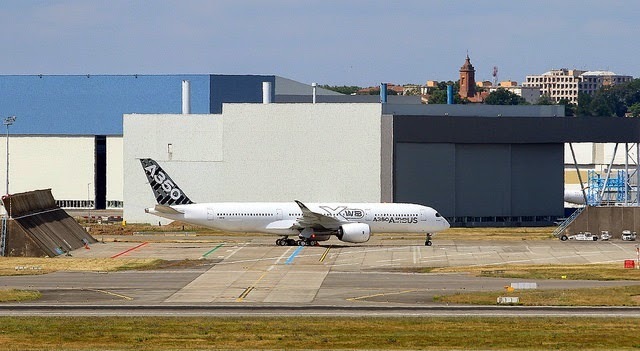 MSN5 prototype is finishing last ground tests before airborne next Thursday 19/June. 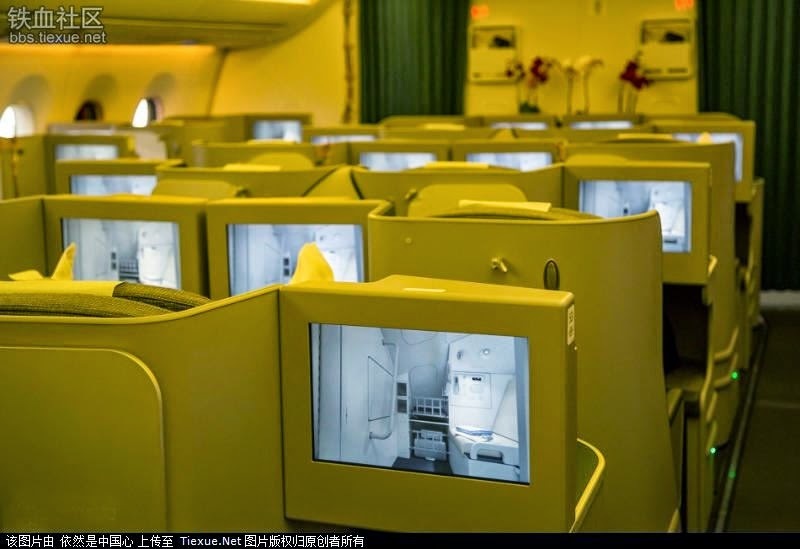 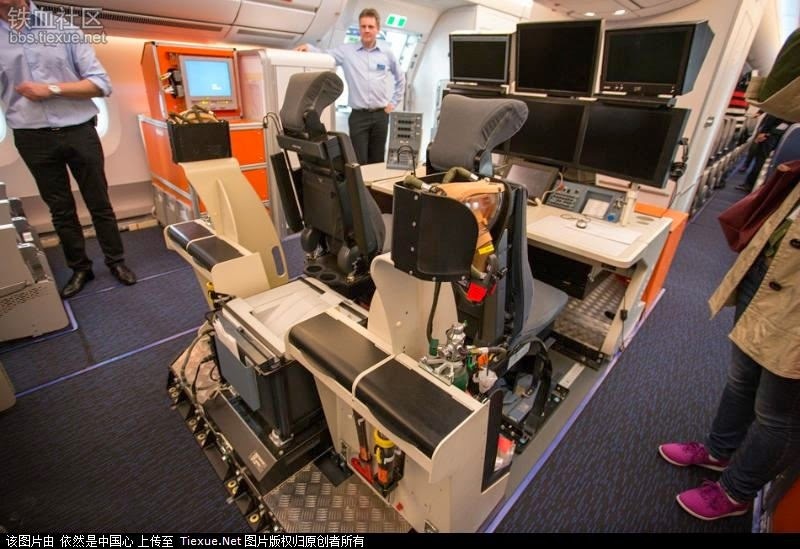 This cabin equipped aircraft will be used for Route Proving, ETOPS certification and pilot training. 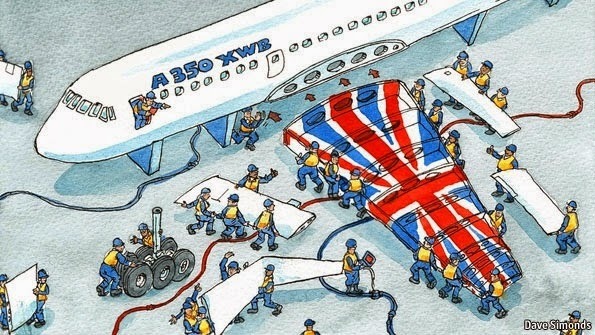 Or as it is known, "functional and reliability testing". 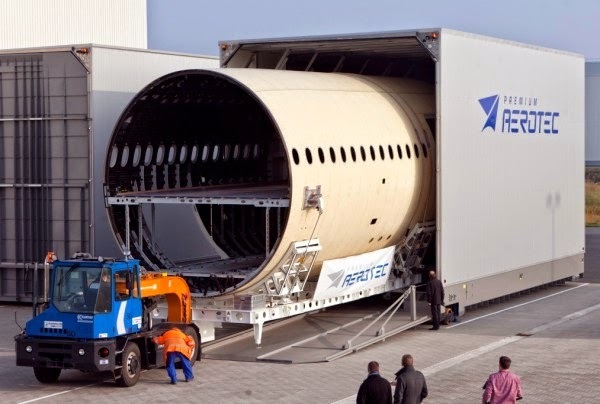 It will fly all around the world for more than 200 hours in 3 weeks. 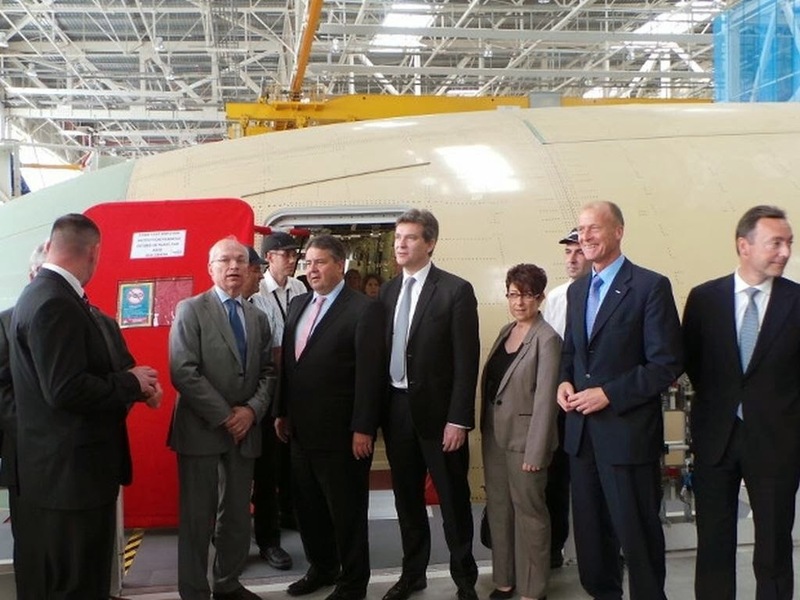 GKN Aerospace in Filton (Bristol, UK) has been recognized as Airbus's Best Performing Supplier. 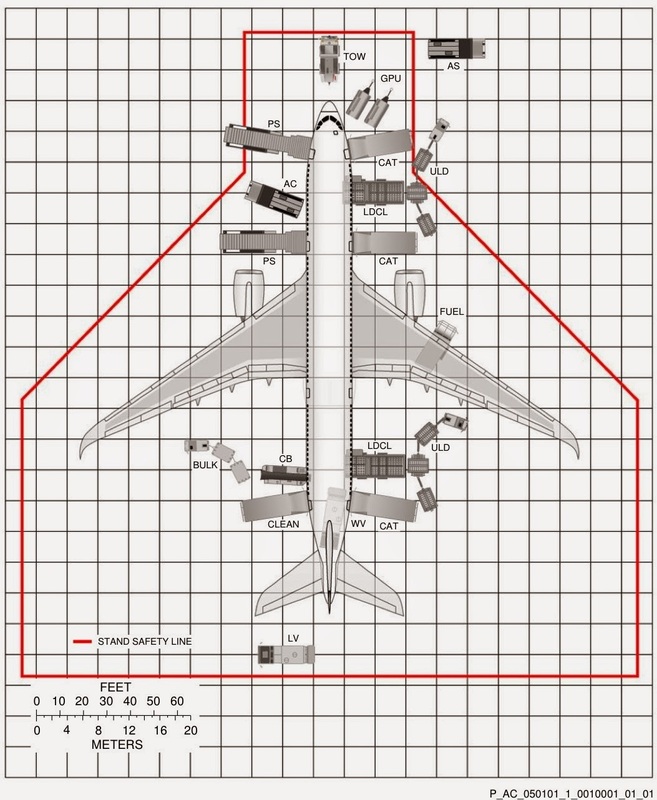 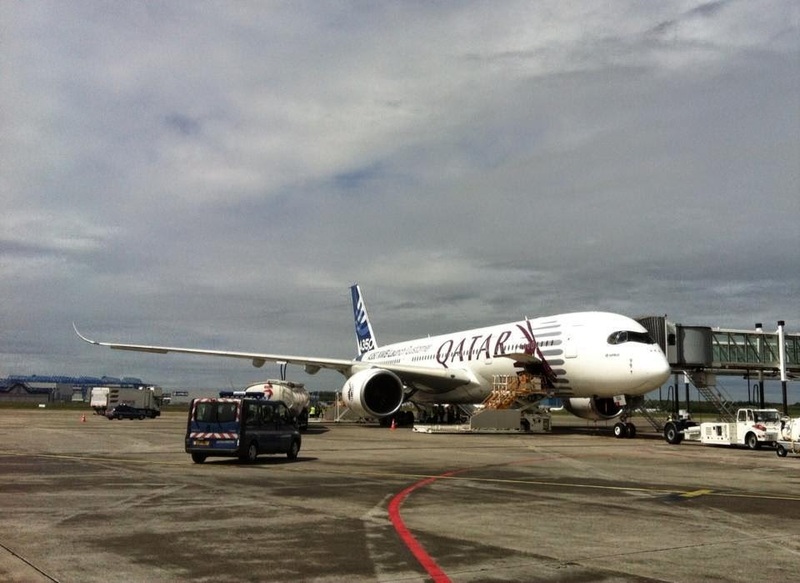 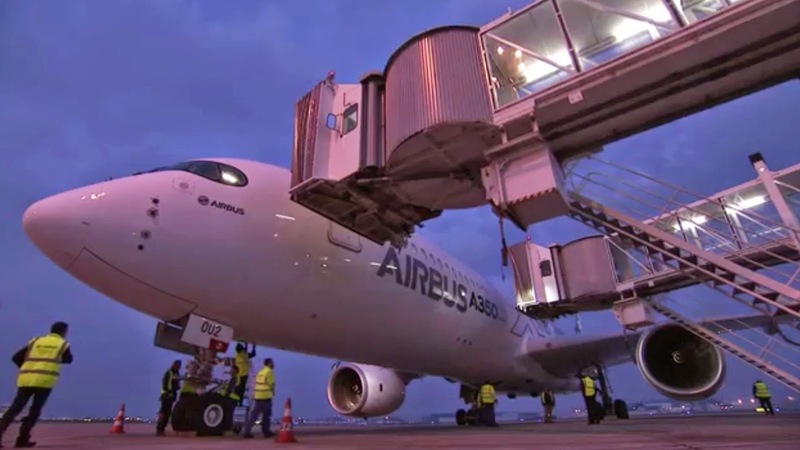 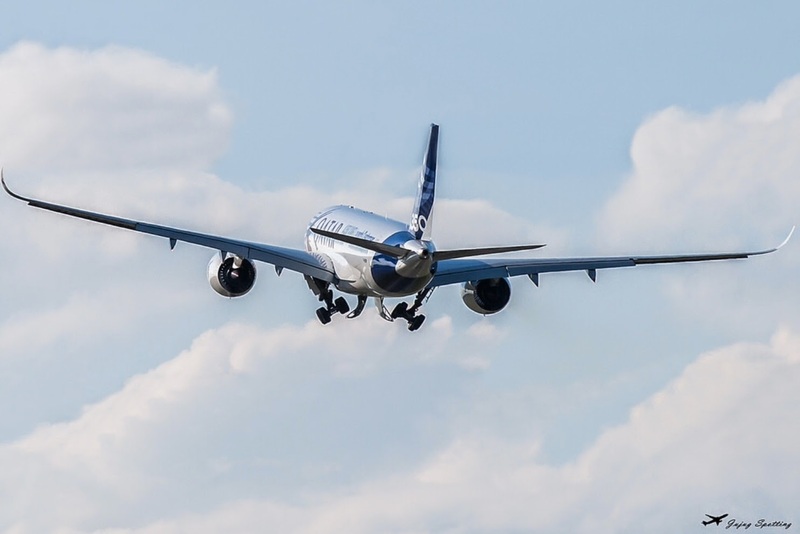 This follows receipt of the 2013 Most Improved Supplier award by the site, the result of significant industrial performance enhancements achieved working with Airbus during 2012. 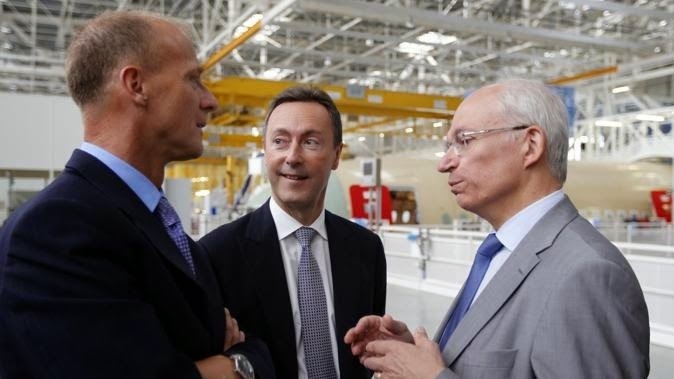 Sales to Airbus represent approximately 20% of GKN Aerospace’s total annual turnover of £2.2 billion and the company supports almost all Airbus aircraft programs with products ranging from complex composite and metallic airframe and engine structures to advanced cockpit and cabin transparencies. 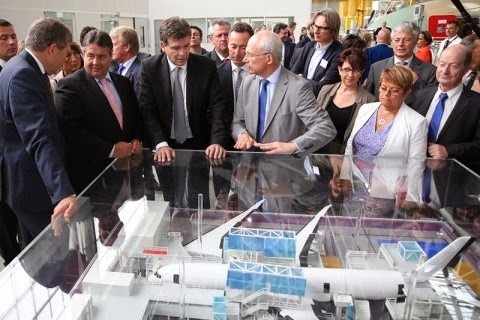 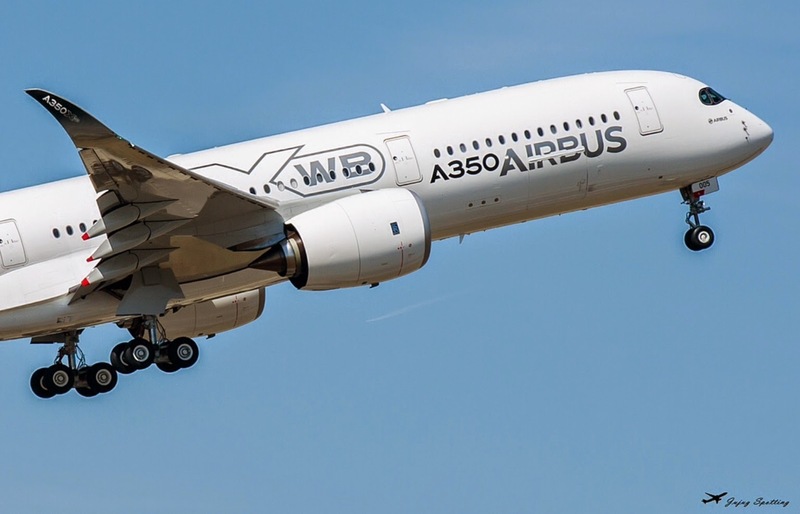 GKN bought the wing components manufacturing facility at Airbus's Filton site in January 2009 and has built a separate, dedicated factory for its A350 work 8km from the Filton plant. 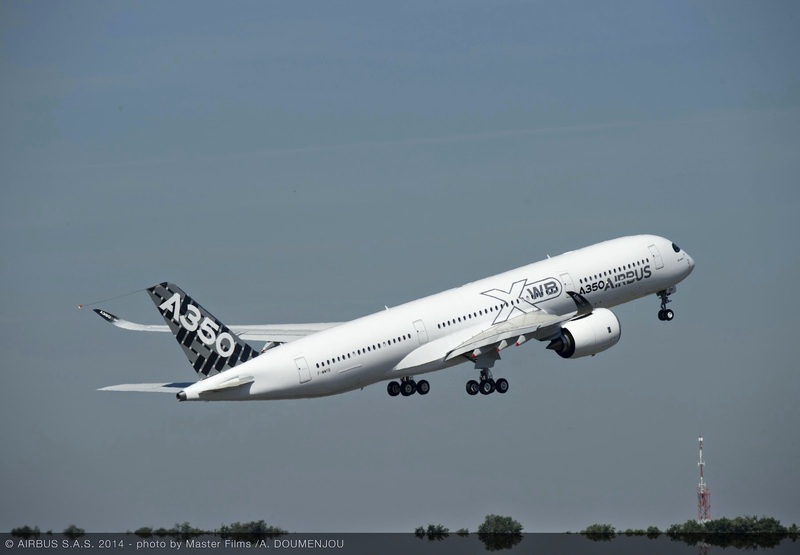 GKN Aerospace in Filton produces the rear wing spar and the fixed trailing edge for A350 XWB family of aircraft. 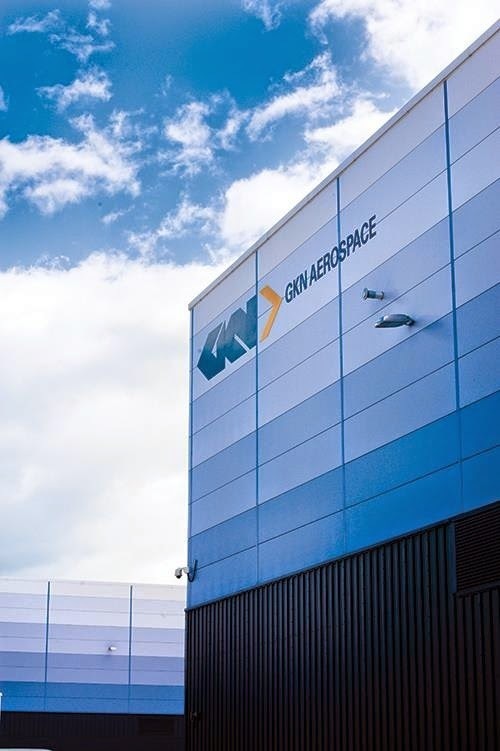 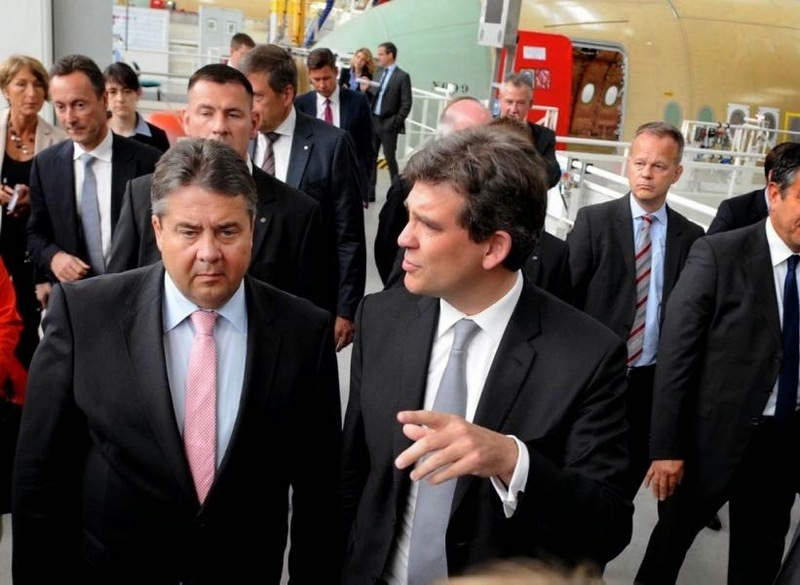 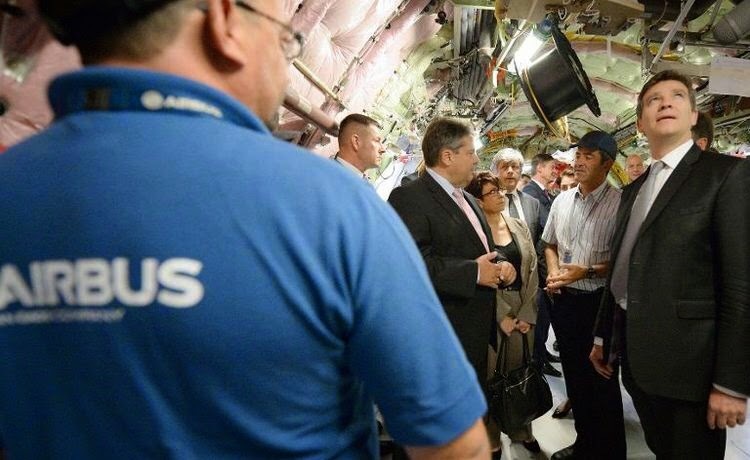 The site employs more than 1.700 of the GKN Aerospace’s worldwide total of 12.000 staff. 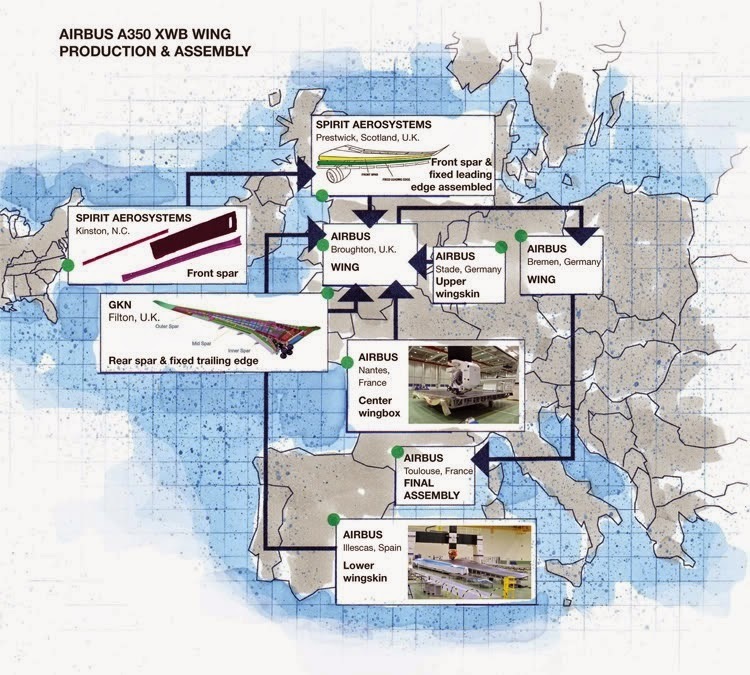 Each wing's 27m long rear spar is manufactured in 3 sections and forms the structural heart of the wing fixed trailing edge (FTE). 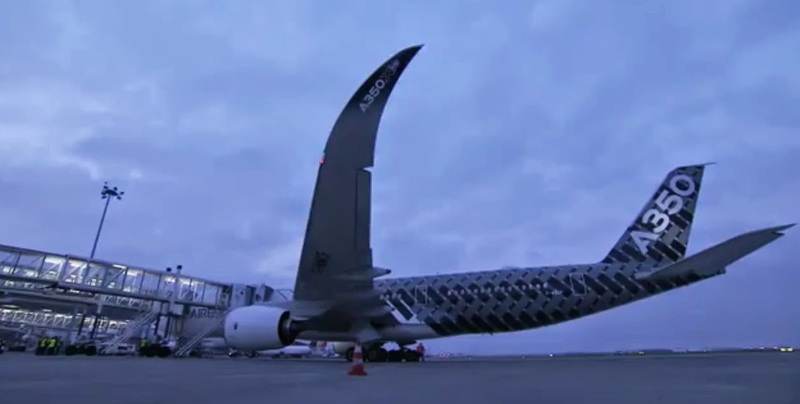 The spar attaches vital parts including the main landing gear, to the wing. 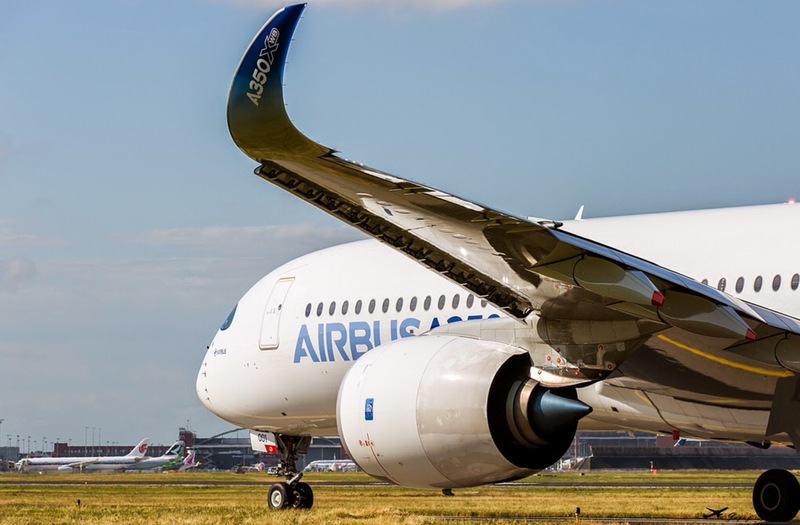 Its complex integral contours are achievable only as a result of manufacturing innovations introduced by GKN Aerospace and these contours provide the specific strength and flexibility required with minimal weight. 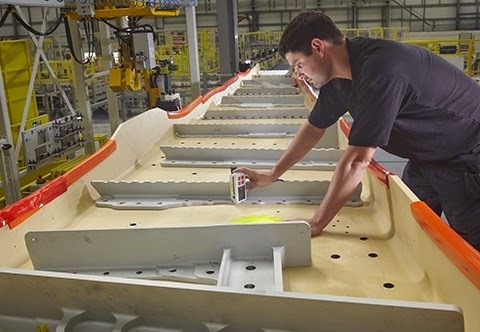 Once the spar is manufactured, GKN Aerospace is responsible for assembling the complete wing FTE and delivering this assembly to Airbus in Broughton ready for integration onto the wing. 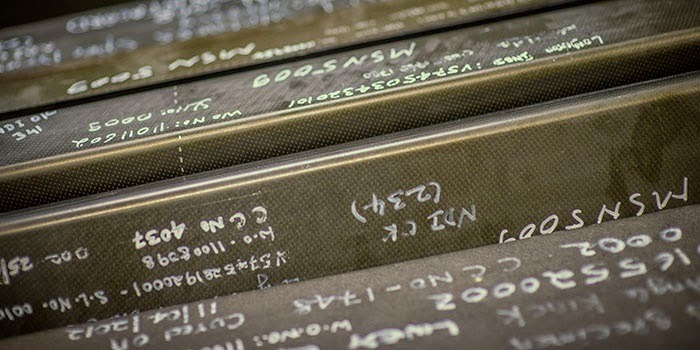 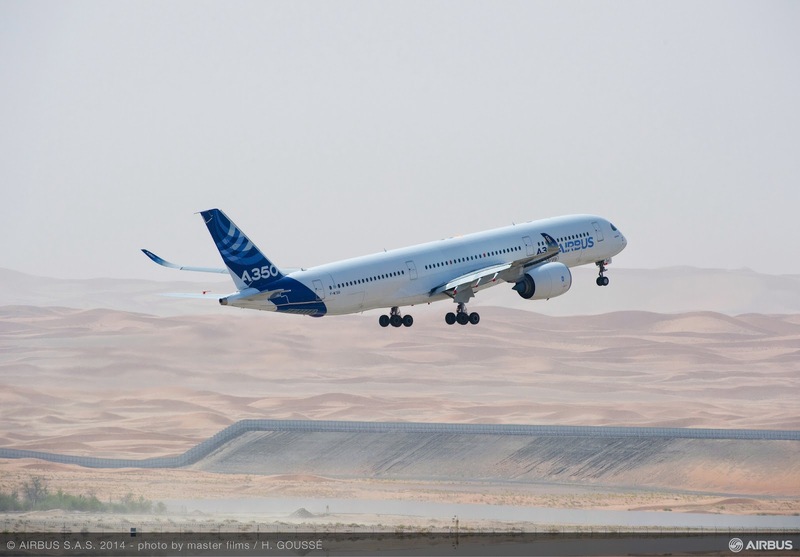 Based on the article “GKN Aerospace — Filton wins Airbus performance award” published in Composites World. 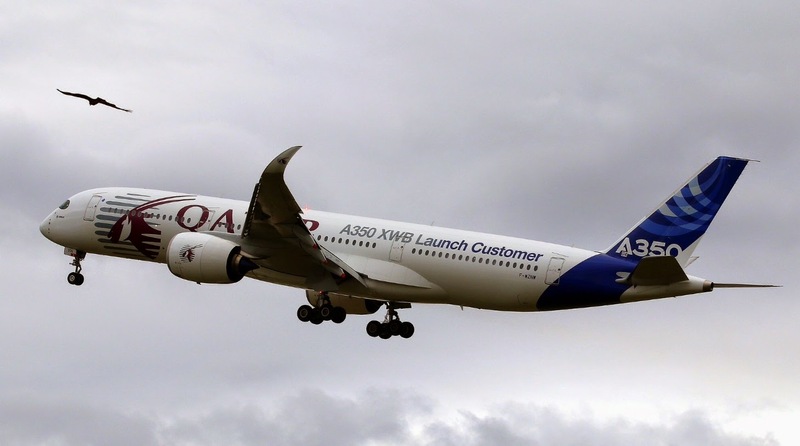 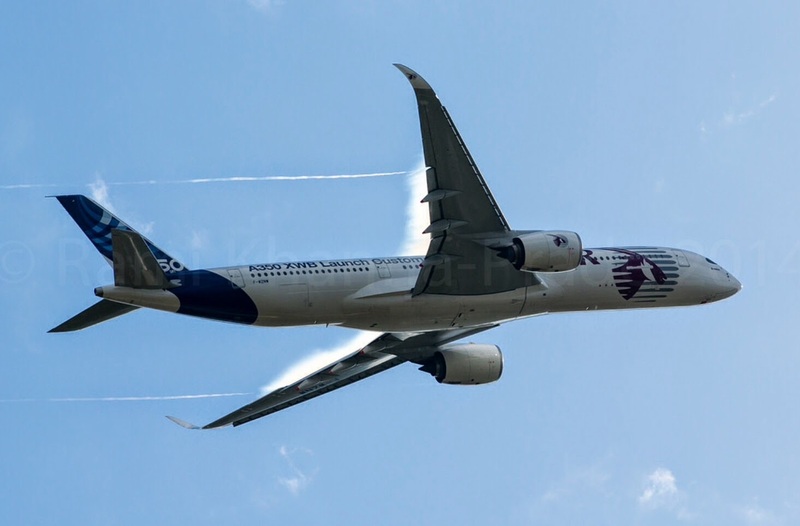 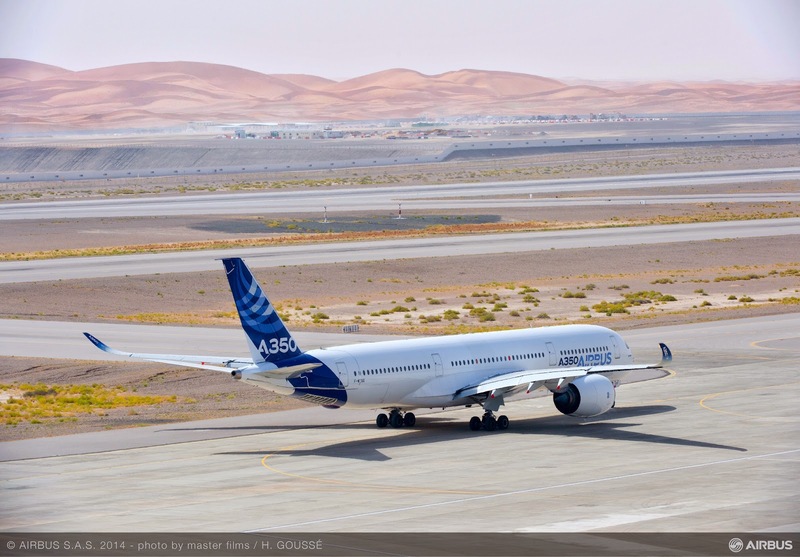 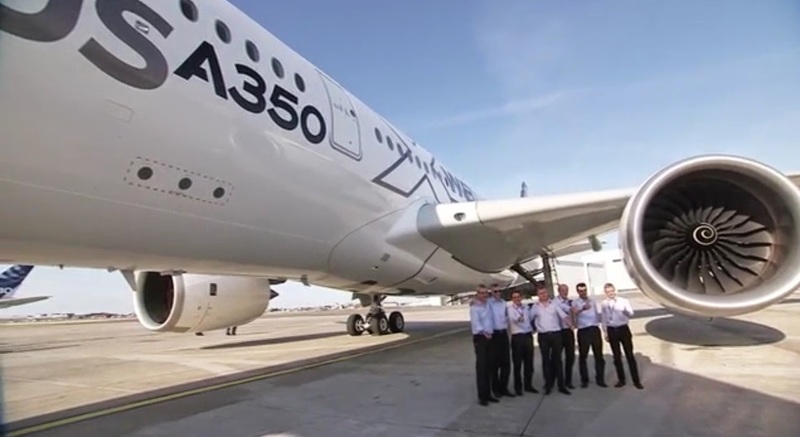 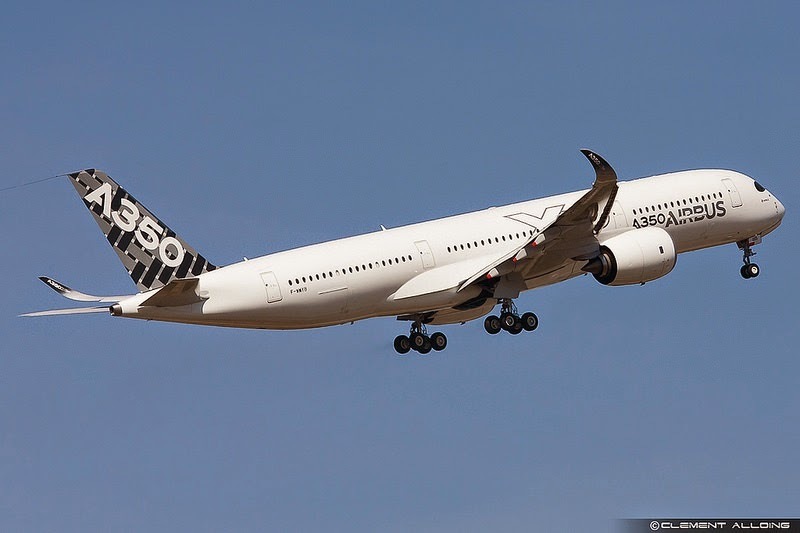 Airbus’ A350 XWB MSN3 development aircraft with a team of around 40 Airbus specialists is doing hot weather trials at Al Ain, United Arab Emirates. 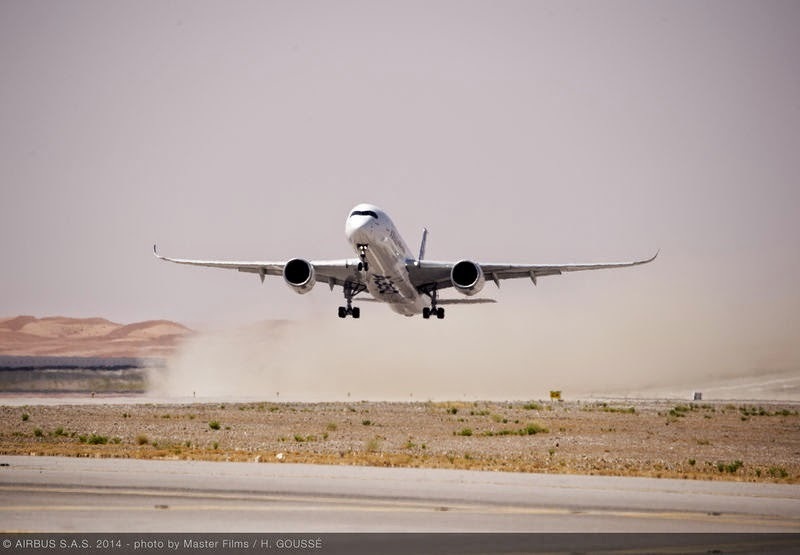 With an average temperature of 35ºC, temperatures reached 48°C. 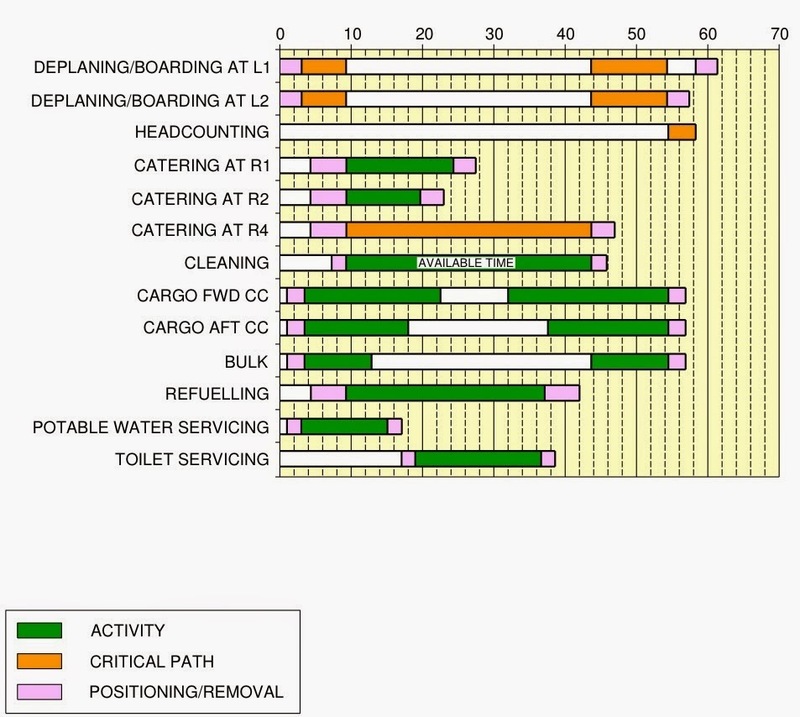 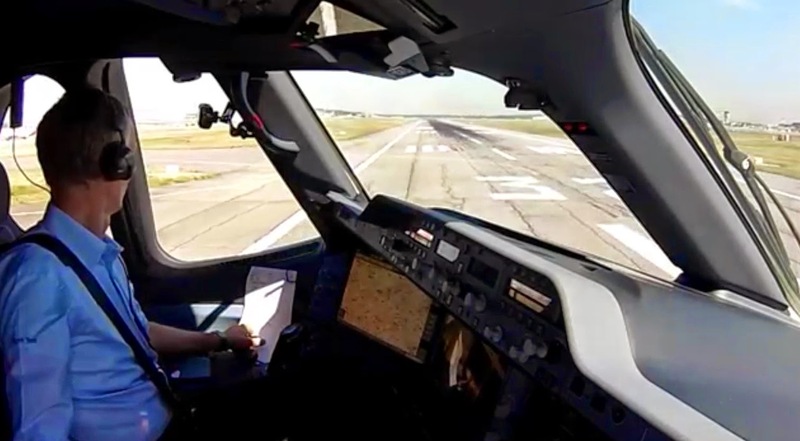 The scope of the trials includes verifying system behavior, low-speed taxi, engine starts and rejected take-offs. 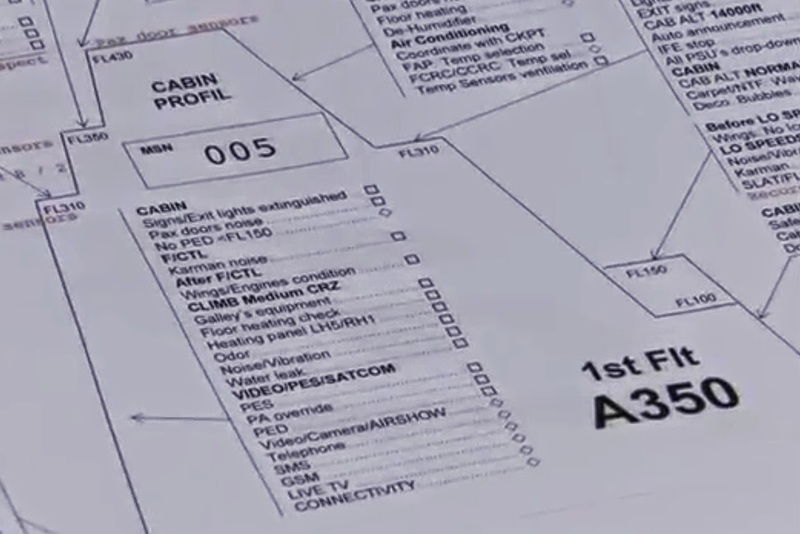 This latest phase of the development test program comes after MSN3 completed high altitude tests in Bolivia and cold weather tests in Canada. 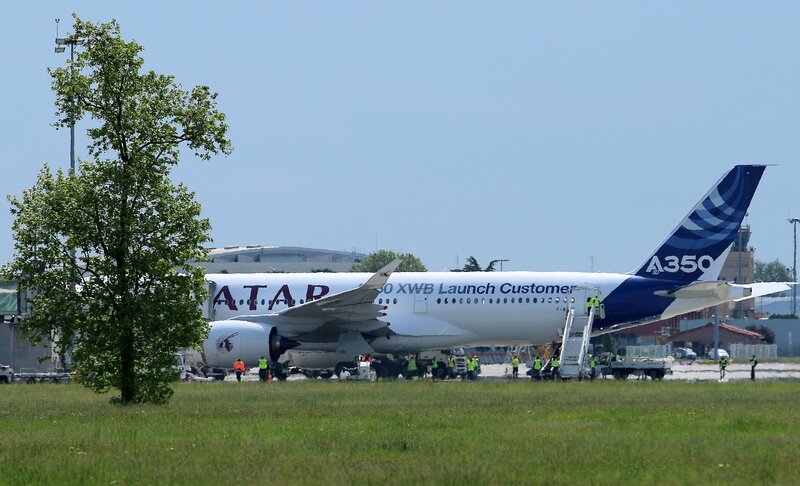 And last month, the MSN2 prototype was at Florida in some indoor extreme weather tests. 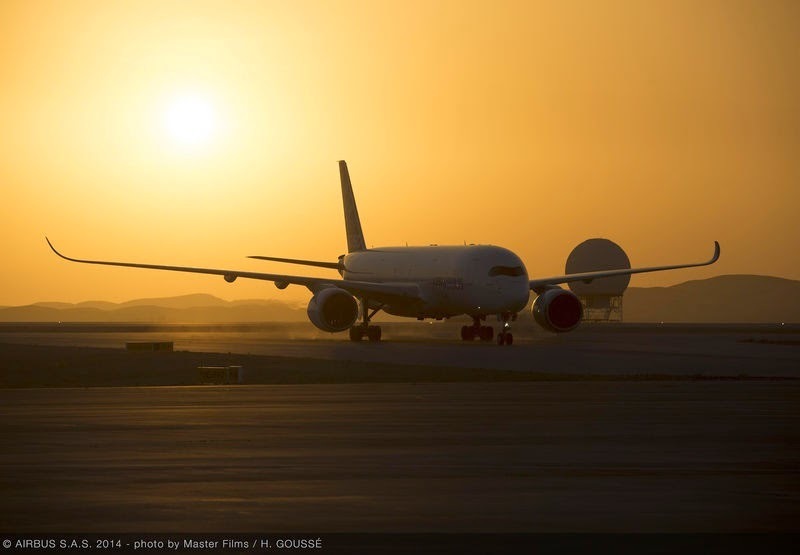 The A350 arrived at Al Ain Airport in the United Arab Emirates on 12/June for a less-than-a-week-long mission to test systems and evaluate performance in hot climate conditions. 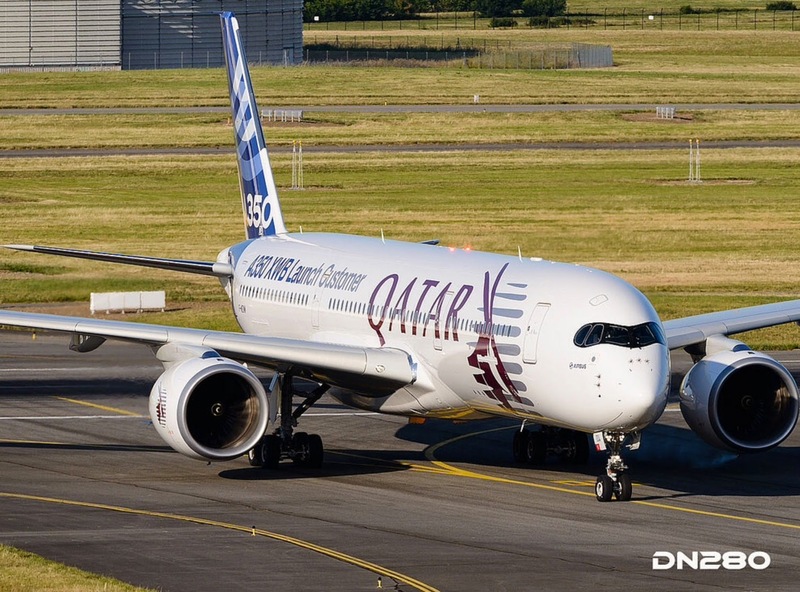 Airbus has released a video showing the main milestones on the Type-Certification Campaign that should be completed by October in order to deliver the first series aircraft (MSN6) to Qatar, the Launch Customer. 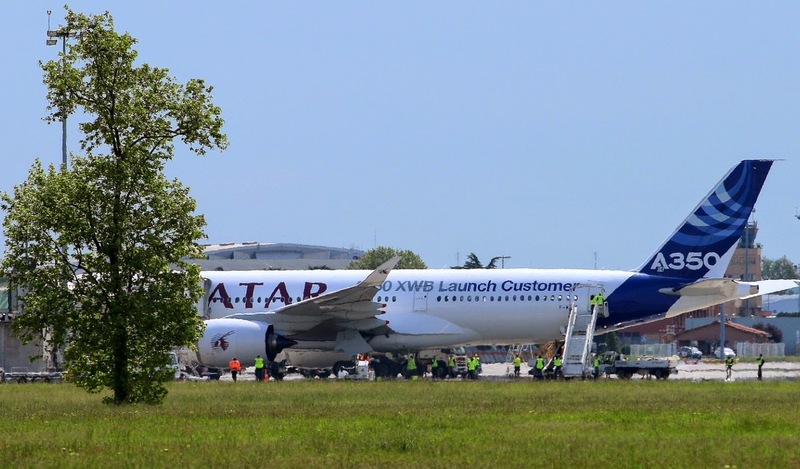 One year later, the first 4 flight-test prototype are flying and the 5th one will airborne next week. 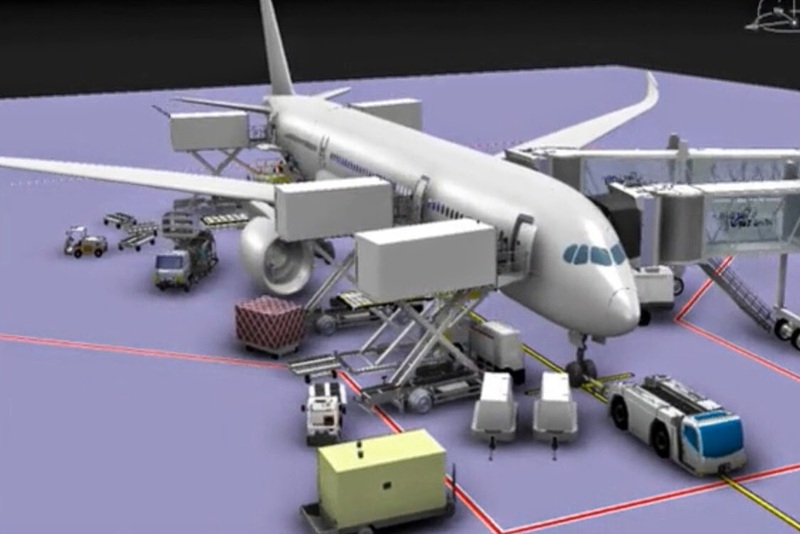 Many tests have been done and some of them can be shown in the video.